Super Smash Bros. for 3DS will introduce a Trophy Shop, series creator Masahiro Sakurai has revealed. Wii’s Super Smash Bros. Brawl had seen the inclusion of 544 collectible character trophies, with Sakurai teasing that the 3DS version alone may surpass that. The Trophy Shop will look to help players purchase any that they’re having particular difficulty claiming through normal gameplay, which will save pouring quite so many hours into the handheld brawler. Super Smash Bros. for 3DS will release across Europe and North America on October 3rd. 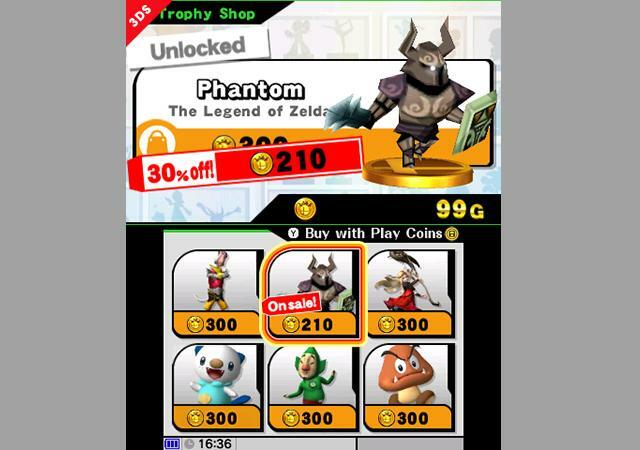 “Here’s the trophy gallery for the 3DS version. You can rotate the trophies by drawing circles on the bottom screen. Super Smash Bros. Brawl had tons of trophies, but rumor has it that the 3DS version alone may have more than Brawl. 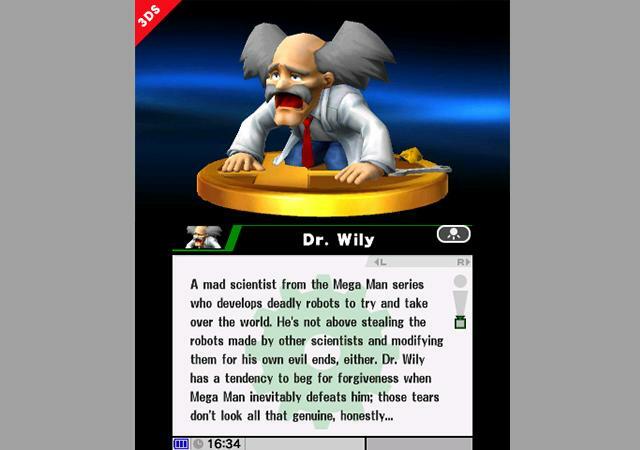 Looks like the Dr. Wily that we made from scratch for the 3DS version is on his knees in disbelief,” Sakurai wrote on Miiverse.